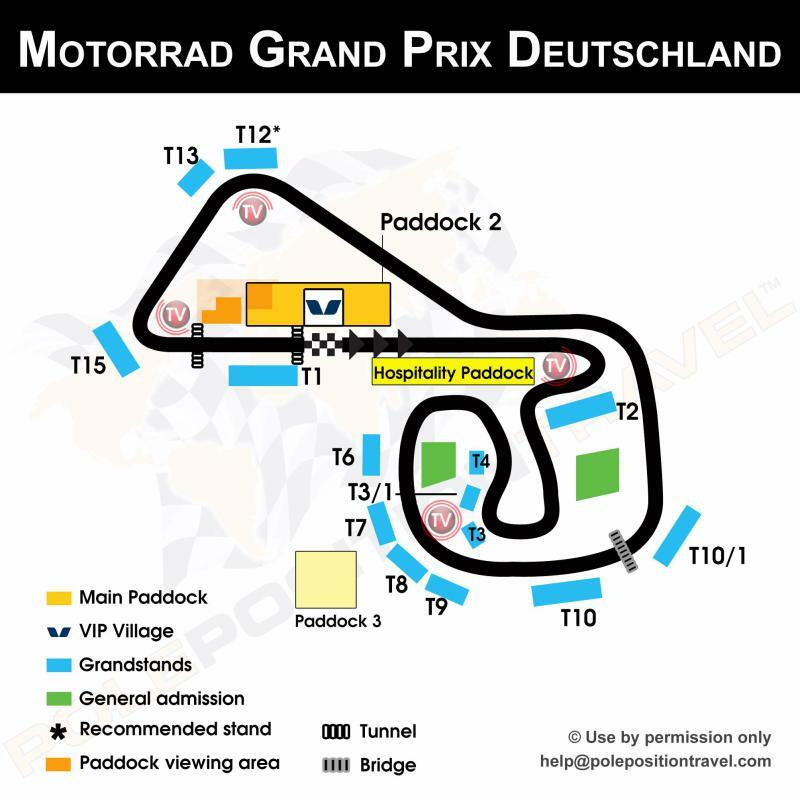 Sachsenring has about the most grandstands of any circuit. As the 3rd largest event on the MotoGP calendar, this is not surprising. Viewing is good from everywhere, and the VIP Village is one of the best, with included services road tours. For our money, we like the T13 area - the broad left sweeper at the bottom of the hill and the fastest portion of the track. TEAM EXPERIENCE: Our special Team Experience packages are available for this event. This sets you up as a guest of one of our sponsored teams for a day or the weekend, with paddock access, pit visits, rider meetings, and more! Please enquire.